Hopefully the news that next gen will have microtransactions in it isn't actually, uh, news to you: the practice of charging money for an in-game bonus has practically become an industry standard. Of course some next gen games will have it! You can read the rest of the interview here, where the producer explains how players will be able to grind and customize gear in-game. It's all fine by me, as long as it's optional, but—what do you think, would you purchase something like this? Does its existence bother you? UPDATE: Crytek sent Kotaku the following additional information about the microtransactions in Ryse. 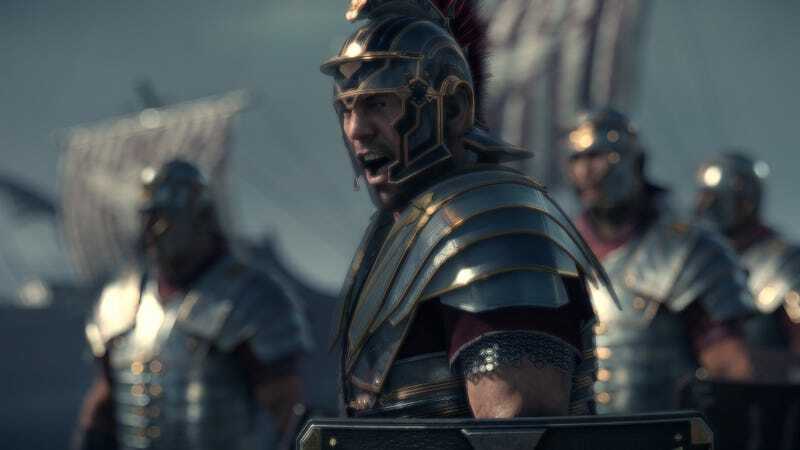 The progression system in ‘Ryse: Son of Rome’s’ cooperative multiplayer experience offers players the freedom to customize their gladiator with a wide range of armor customization options and upgrades which are accessible across five tiers. Players must advance through each tier by earning experience through gameplay before being eligible to acquire ‘booster packs,’ which contain in-game upgrades. Once players have reached a new tier, they may either purchase ‘booster packs’ using in-game Gold earned through battle, real-world currency or a mix of both, and then must continue to play to advance to the next tier (there is no way to ‘buy’ your way to the next tier). Players who purchase ‘booster packs’ with real-world currency will only receive a minor boost in how quickly they acquire the items they’ve earned compared to those who only use in-game Gold.